Happy Hanukkah my loves! I have to be honest, I don’t know much about Hanukkah other than it starts today and I am wishing everyone who celebrates the warmest of time in celebrating and spending time with those you love. 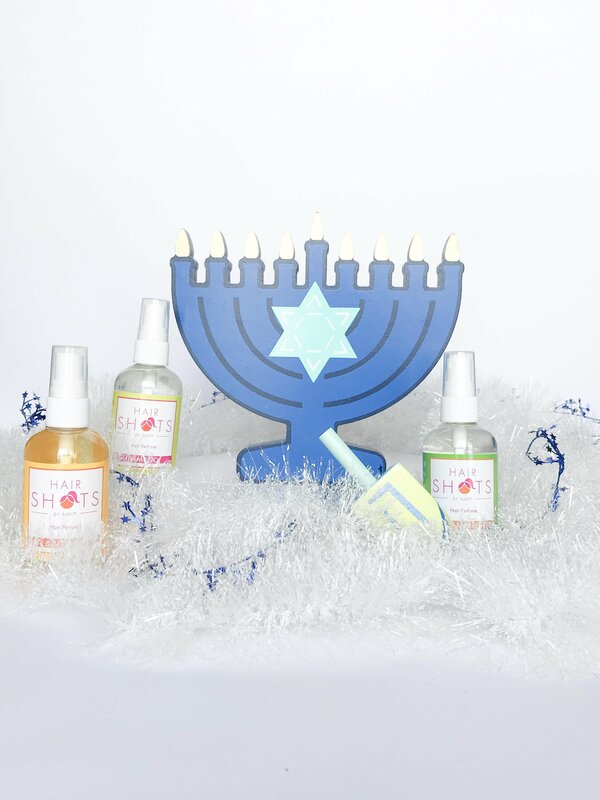 Now I know Hanukkah takes place over eight nights and I’ve also heard that many of you give gifts every night! As in eight nights of gift giving. Some of you who know me know I love finding the perfect gift for my family and friends. I just love to really delve into their personalities and find that perfect present that will make their night. I am also assuming, or hoping, that most of you do the same and your hard work investigating might have lead you here! To Hair Shots! This week I am all about Asian Green hair perfume. This is the rainforest in a bottle I swear. Nothing makes me feel more refreshed and pure than this hair scent. Especially if I decide to go three days without washing my hair. Now don’t judge, we all do it! Asian Green hair fragrance seriously tricks me into thinking my hair is fresh out of the shower. What a dream. Be sure to check it out for yourself. Wishing you all a blessed Hanukkah and a treasured time with family.